A varicose vein is a medical condition which is found mostly in older people than younger people. Varicose veins are purple, tangled and visible veins which are commonly found in the thigh region of the leg. There are different kinds of varicose veins. Some don’t cause any harm to the body and are normally corrected or treated to look better. However, Varicose veins can prove to be a severe threat to a person’s health, especially to elderly people. It can cause pain in the legs, discomfort while sitting and standing up. High risk of getting muscle ache and cramps. Pain continues to increase while walking, sitting or standing. Pain in infected area can rise if veins tear. Needing external support to stand up. Age: The age of a person is a very influencing factor if he/she has Varicose veins condition. As a person grows older, the veins in the leg area get intertwined with each other. This causes less blood flow which as a result causes pain. Genetic: There is a possibility that if someone in your family has Varicose veins, then there is a chance of inheriting it. Weight: According to research, the heavier a person is, the higher chances of them getting Varicose Veins. This is because of the pressure that gained weight puts on the body which can cause less blood flow. Excess movement: The pain can increase to a high level if the person keeps on moving without intervals of rest. We at laser plus, are very serious about what we have to offer. All our equipment and procedures are of top quality and fully researched. 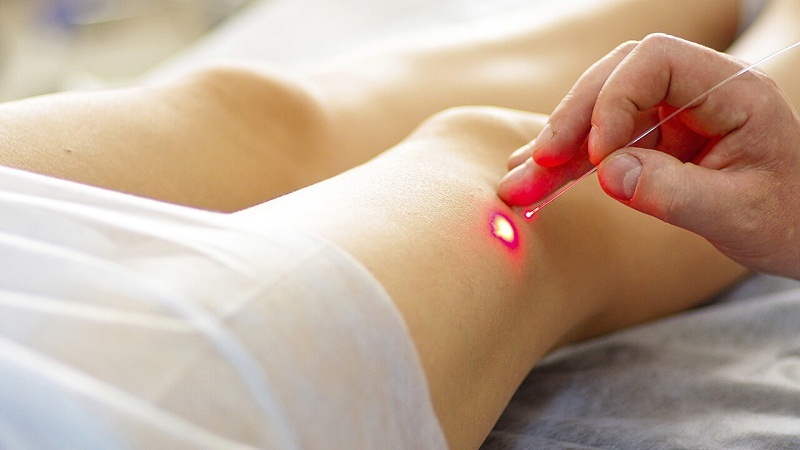 We specialize in treating Varicose veins and we use three different methods. They are Injection technique and laser technique. We have ensured that no harm will come to our patients when we conduct these techniques. Both of them have been given full approval by the FDA. Our team is well-trained and informed, they can answer any of your doubts and questions. We hope that you will allow us to take care and treat your Varice related problems. We aspire to serve with quality.